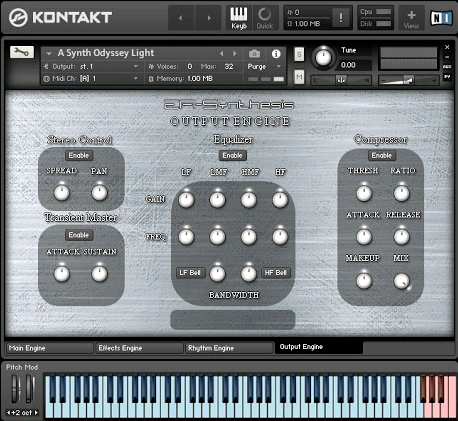 EA–1 Synthesis, a Kontakt 5 Library featuring the sound of the Korg Electribe EA–1. The library features TB–303 alike Basses, Gritty Synths, Smooth Keys, Lo–Fi FXs, Atmospheric Soundscapes and Resonating Retro Synth Leads. Although EA-1 Synthesis is best suited for minimal techno and IDM music production, famous artists such as Throbbing Gristle, Orbital, Daft Punk, Like A Tim, Crystal Distortion and Cirrus have all used the Korg EA-1 to create other genre of music. EA-1 Synthesis is the only Korg EA-1 sample library available on the market, the library is unique. • 25 x Kontakt 5 Instruments With A Fully Scripted Interface. • Bonus: The Same 25 x Instruments Are Included As A Bonus In Reason NN-XT, SFZ, Logic Pro EXS24 And SF2 Format.